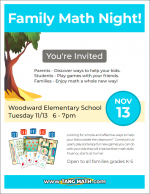 The district is holding another Family Math Night. Woodward will host it one week from tonight with guest Greg Tang, Jr of tangmath.com. Looking for simple and effective ways to help your kids outside the classroom? Come join us! 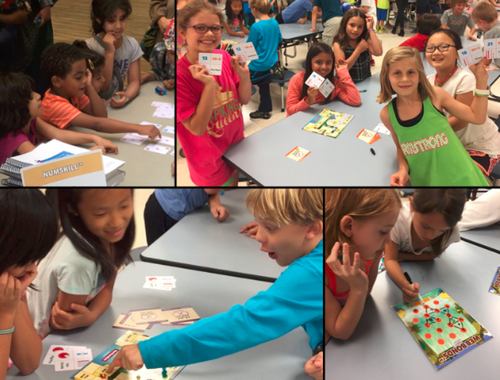 Learn, play and enjoy fun new games you can do with your kids that will improve their math skills. Fluency starts at home! 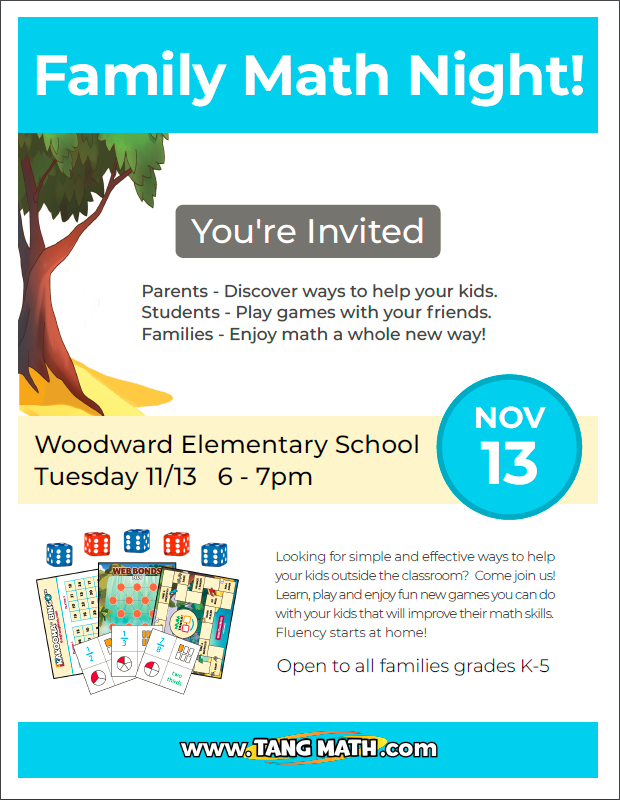 Families – Enjoy math a whole new way. . .
For more district resources on how to help your child in math visit the district’s math page.